will be the days of my people; my chosen ones will long enjoy the work of their hands. 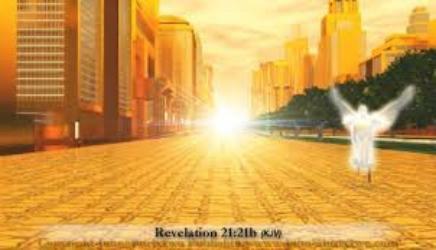 in Revelation 21. First, a little background. the bottomless pit where he spent 1000 years and soon after leads a rebellion against God. the angels, the resurrected and raptured believers in their eternal bodies, and the "sheep"
study After We Die for clarification. in their hearts and they will also be dealt with at that time. 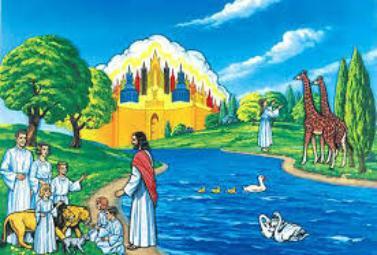 only then will the new heaven and earth be created and God will live here on earth with us. First lets look at Revelation 21 and then Isaiah 65.
good fish in baskets, but threw the bad away. This is how it will be at the end of the age. blazing furnace, where there will be weeping and gnashing of teeth. The "end of the age"
brings it to 7,000 years, which is the end of the age. God works in 7's. himself will be with them and be their God. ‘He will wipe every tear from their eyes. are victorious will inherit all this, and I will be their God and they will be my children. my opinion as I don't have a scripture for that. behind feel that way. But things don't happen that way anymore, the "old order of things"
feel pain because they will still be with us. 900 years and when they die they will go instantly from death to life if they are believers. will be any unbelievers on the earth they will not be allowed into the new city of Jerusalem. worship and pay their respects to God.